In March this year, former magazine creative director and self-described "decor junkie" Louise Bell parlayed her passion for spotting trends into a store selling the coveted pieces she felt were mostly inaccessible to middle income earners. Where did you grow up and what were your childhood interests? I grew up in Durban, South Africa, and we immigrated to Sydney, Australia when I was 12. I was interested in the usual stuff, but was very obsessive about the appearance of my dolls – I kept their little knitted bonnets firmly in place to avoid messed up hair, and my Cindy doll slept in a lucite/perspex tissue box. Music also featured heavily. 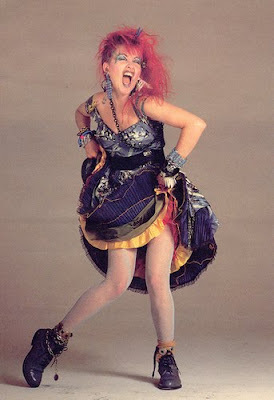 "Total Eclipse of the Heart" was the first song I ever obsessed over, followed closely by "Walking on Sunshine" and "Girls Just Wanna Have Fun". I would have been about seven or eight years old. Who/what were some of the key influences and inspirations in your formative years? I feel fortunate to have been a teen at a time when the world was discovering both "The Supermodel" and "Grunge". And I embraced both, wholeheartedly. I had both a subscription to (US) Harper's Bazaar and pair of 10-hole "Cherry Docs" in Year 10. Fashion magazines and music videos were my life. Actually, not much has changed since then. High-school: did you love it or loathe it? Loved, loved, loved. I had a hugely positive high school experience, and regularly catch up with at least 10 close friends. I particularly enjoyed Biology, and also Art – Pam and Daphne, my art teachers, were absolute gurus; they were passionate beyond speech. My Year 12 Art Major Work was selected for Art Express and exhibited in the Art Gallery of NSW, which is testament their dedication as teachers. Travel, university... how did your post-school life pan out? I studied a Bachelor of Design for four years straight after high-school, which meant long hours and stacks of hard work. I wanted to chuck it in on day two! On a brighter note, I won a trip to London to see Lenny Kravitz live at Wembley Stadium whilst studying one weekend. I had Triple M on and called up for one of their "Rock-tober" promotions. I took a friend, and we travelled to San Francisco, Rome, Florence, Paris and London, of course. It was incredible. How did you get your start in the creative field? One requirement of my degree was that we undertake industry experience for four days a week in our final year. 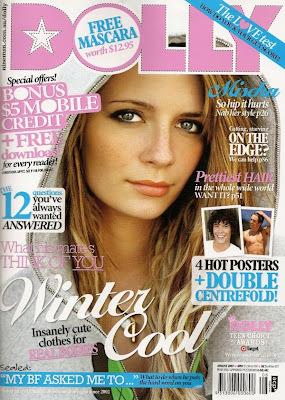 I was fortunate (after many unsuccessful applications) to land an internship at Dolly magazine. It was unpaid initially, but after a couple of months, they started paying me, which was a complete and unexpected bonus. What direction did you take from there? As my Dolly internship was coming to an end, I landed a job as a graphic designer at Australian Good Taste magazine. But the editor of Dolly at the time, the very lovely Susie Pitts, was determined to keep me at ACP, so she did a quick ring around, and I was subsequently offered the job of junior designer at Cosmopolitan magazine. From there, I worked very closely with Mia Freedman, and moved up the ranks to become Deputy Art Director, Art Director, Creative Director, and later Creative Director of Cosmopolitan as well as Cleo and (once again!) Dolly. Which roles have you enjoyed the most? I have enjoyed it all, but for a passionate graphic designer, the role of a Deputy Art Director is usually ideal in the sense that you are free to literally design pages all day. The Junior Designer is often doing a good share of menial tasks (saving images from disks, filing, etc.) and the Art Director is often consumed with deadlines, attending numerous meetings and designing the cover each month (an often painfully lengthy process). Tell us about your role overseeing the creative direction of Dolly, Cleo and Cosmo. What did that involve and how did you differentiate each magazine's aesthetic direction? Having worked alongside Mia Freedman for so many years, I was fortunate that when she was announced as Editor in Chief of the three titles, I was offered the (newly created) role of Creative Director of all three. Maintaining the separate aesthetics wasn't as difficult as you might imagine. They all had their own unique identities and philosophies and this, coupled with three different "font packs" (the typefaces used by each mag) made for a relatively smooth running machine. Being highly organised was key, but managing three different deadlines, approving every single page layout, plus designing three covers a month certainly kept things... "colourful"! 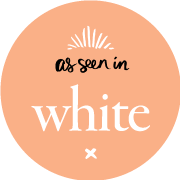 The recent trend towards going sans Photoshop: faddish tokenism or welcome trend? Without question, faddish tokenism. But that's just my opinion. And have you noticed how 'sans photoshop' on a cover simply means "no lipstick or mascara"? But do you think things have gotten out of hand? Absolutely, I do, and I think 90% of the time we aren't even aware of retouching. It's only when it's done poorly that people start talking. But, that said, it's the same argument as "Models should be fatter". People are asking for something I don't believe they truly want to see. What limits did you attempt to stick to? I was an art director at a time where retouching or "airbrushing", as it was called on the olden days(! ), was a very new technology. And Mia and I just went for it! We literally did as much as we could get away with – different heads on bodies; you name it. Are Australian art directors' hands more tied than their overseas counterparts with regards to access to images? Of course – we simply don't shoot as much, and you have every women's lifestyle mag bidding on the one shoot of, say, Cameron Diaz. Cosmo was fortunate to have access to all the US Cosmo covers, which was great. We used them at least 50% of the time. Cleo was harder, as they were competing for cover shoots with the Marie Claires and Madisons. Dolly was even harder still – you could only get PR approval for the super young celebs, and if you wanted someone even slightly older, like Rachel Bilson, say, the cover usually went to an "older" mag like CLEO. Why did you choose to leave? I didn't. I was made redundant in November 2009 and, at risk of sounding like a cliche, it was the best thing that ever happened to me. If I wasn't made redundant, I simply wouldn't have had the opportunity to make such a drastic career change. So I feel very fortunate. Life has only just begun. 7am: Wake up. 7.30am: Get up and check emails, check site traffic, moderate comments. Cup of tea and toast. Shower. 8am: Get Anoushka up (Jasper is already up drawing/building Lego), make kids breakfast and dress them. 9am: Take kids to school/daycare, grab a takeaway coffee on the way home. 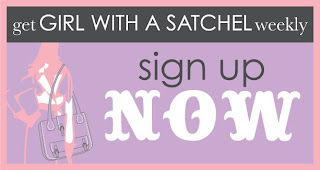 9.30am: Settle in to emails, blogging, packing orders, etc. What ever requires my attention. 5-7.30pm: Kids, kids, kids. Any mother will tell you the dinner/bath/bed bit is the busiest time of day by a country mile! 7.30pm: Cup of tea and a magazine or back on the net for more blog inspiration/education. I have so much to learn, and use the evenings for "homework". Where do you get your inspiration? Everywhere. The colour of a pear at the fruit shop, the fabric of the dress worn by the little Italian lady that shuffles up our street every day, a page in a magazine, a comment left on my blog, a story in the newspaper. What my eyes can see, inspires me. Constantly. What are some of your favourite magazines and blogs? Fave decor blog: Absolutely Beautiful Things. 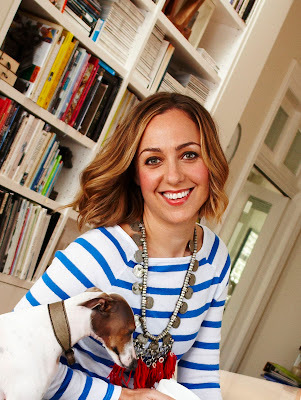 Brisbane-based Anna Spiro has been an enormous influence since the minute I discovered her blog about three years back. She has such a great eye for style. Sometimes I think she just cheats and reads my mind! Fave food blog: 101 cookbooks. Gorgeous food with a (mostly) healthy slant. Heaven. Fave fash blog: Apart from the usuals (The Sartorialist etc), Definitely Golden (definitelygolden.com) is positively dreamy. Fave mag: Right now, I'm totally hot for Vogue Living. And Inside Out. And Real Living! 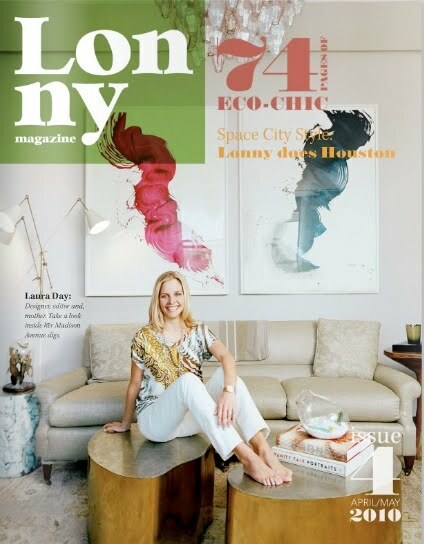 Fave online mag: Lonny (lonnymag.com). Co-founded by one of the Editors of the now defunct, Domino magazine, it picks up pretty much where Domino left off, and has every single interiors blogger squealing with delight on a regular basis. Who have been some of your mentors? Pat Ingram and Mia Freedman were not only my mentors, but also my Fairy Godmothers, and my confidants. To have worked under just one of them would have been enough, but I had the good fortune of learning the ropes from, and having the support of both of them. What is the common, philosophical theme that underpins your work? You will always find me attempting to improve the appearance of something, one way or another. It's as simple as that. Without my eyes, I would be nothing. If you could create your own magazine, what would it feature and look like? It would feature decor (colourful, practical, stylish), fashion (chic, affordable, flattering) and food (nutritious, easy, interesting). And it would look like a party you wish you'd been invited to! Thanks for your great article on Louise. I am an avid follower of her blog...she's a daily fix...and the loveliest thing about her is that she shares. She finds something good...she tells the world. Now that's nice! I thoroughly enjoyed this and I'm rapt to see that Louise is so happy and going great guns. I did work exp at ACP several times and Louise was lovely to me. 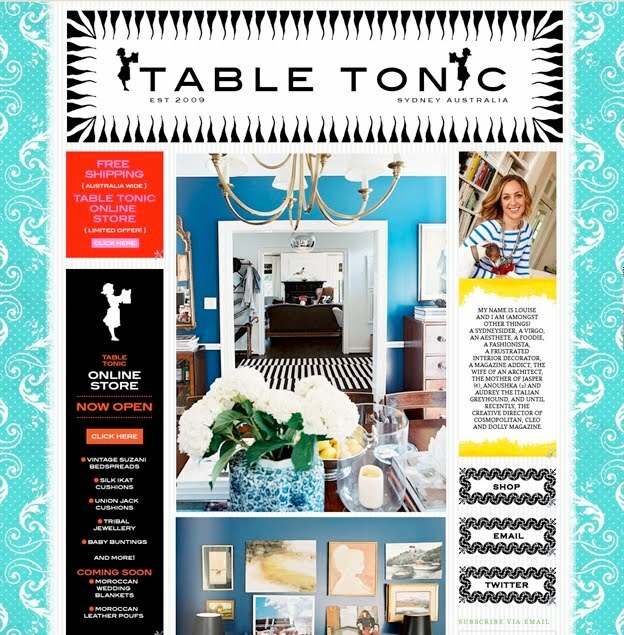 I'm such a fan of Table Tonic so I really enjoyed this interview! 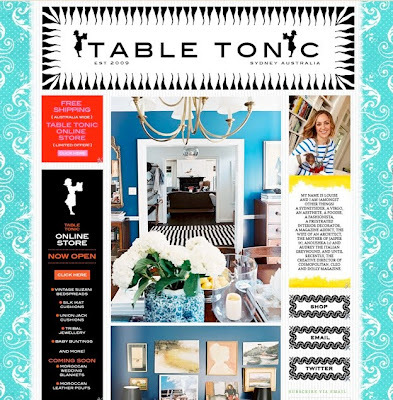 Great interview!I am a huge fan of Table Tonic, so it's lovely to read more about it's fatastic author, Louise! This was a great article Erica - thanks!!!! Such a great interview. It's great that Louise is so open and honest...it really allows her fans to get to know her better. Such a fun read for me today. Thanks.